Jeffrey Gingold speaks about his father Sam Gingold’s experiences during the Holocaust. Sam Gingold was only seven years old in 1939 when Germany invaded Poland. Sam and his family were taken to the Warsaw Ghetto, where he helped his family survive by smuggling food and medicines. 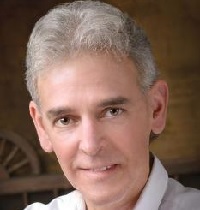 Jeffrey Gingold is an internationally acclaimed and award winning author who has been featured on several national television and radio shows, as well as in magazines and global publications. Mr. Gingold generously contributes 100% of the proceeds from his book to HERC.